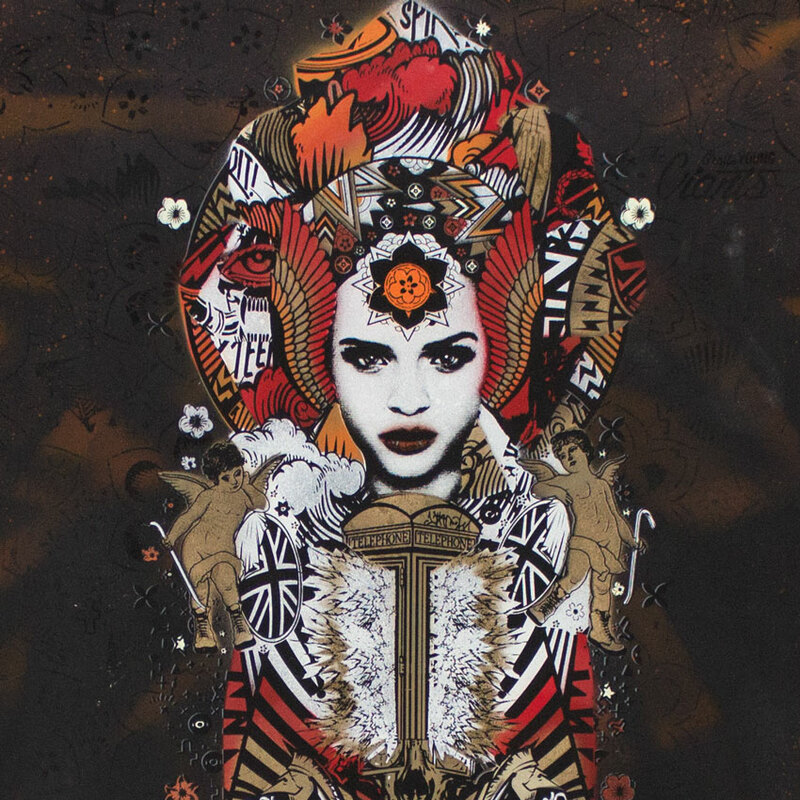 Newcastle duo Prefab77 came to Detroit ready to throwdown with 1xRUN's Master Printer Jonny Alexander creating a slew of hand-painted multiples, embellished screen prints and original artwork for their upcoming pop-up exhibition Unmasked.? 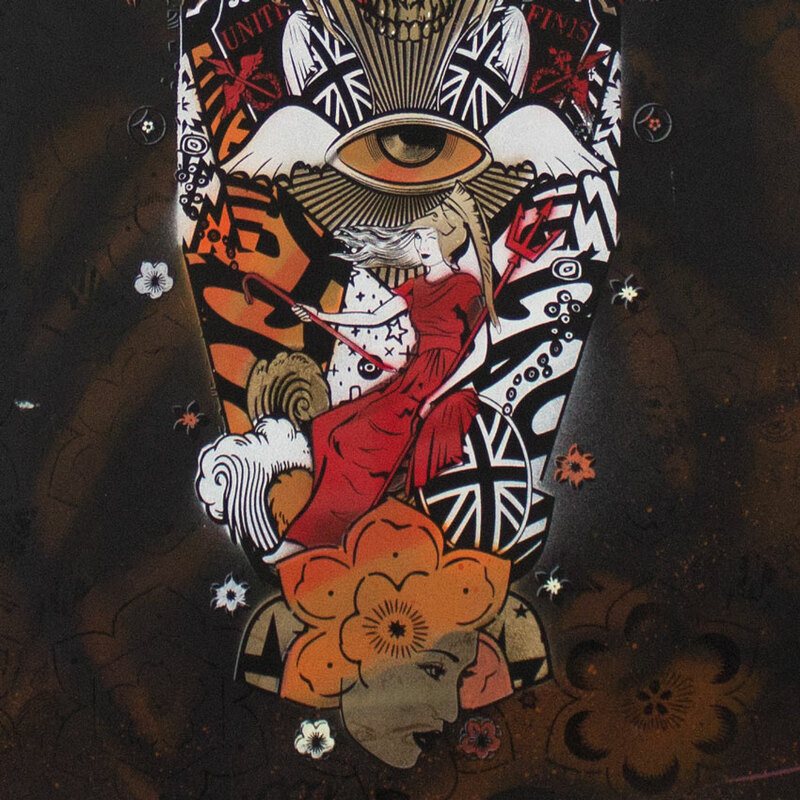 After being influenced by New York City street art in the late 90s, Peter Manning and Marc Ross returned to England to help spread the word of the burgeoning street art movement. As creatives starting their own gallery they showcased early works by Banksy, WK Interact and more from the Prints On Walls artist stable, before breaking out on their own to form Prefab77. 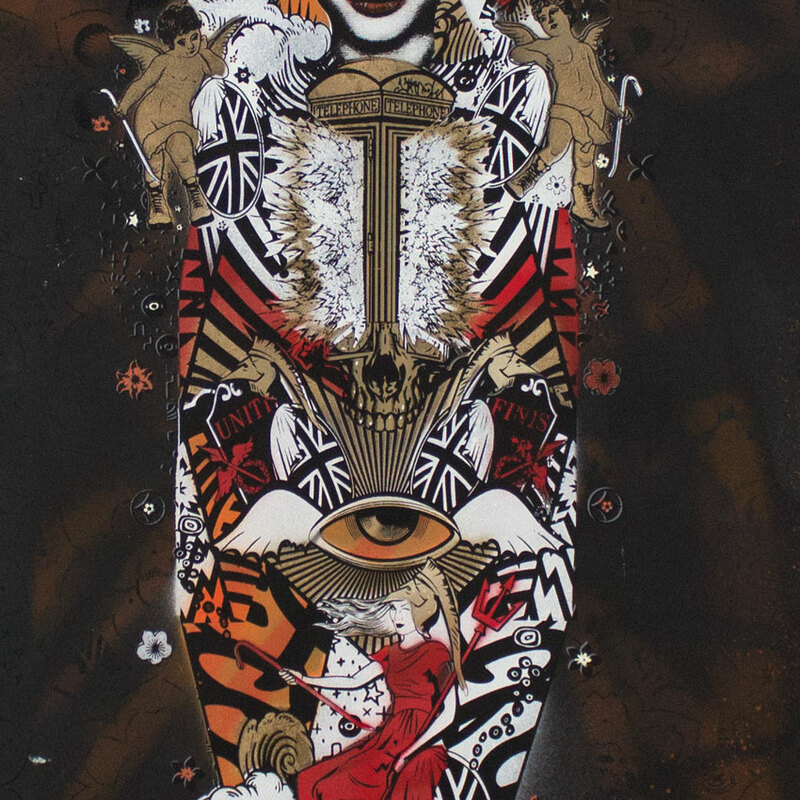 Since then the two have been telling bright and vivid stories that mix medieval iconography with punk rock cut and paste aesthetics for their own unique style. We caught up with Manning and Ross to discuss their latest exhibition, their background and more. Read on to get a behind the scenes look at Unmasked? 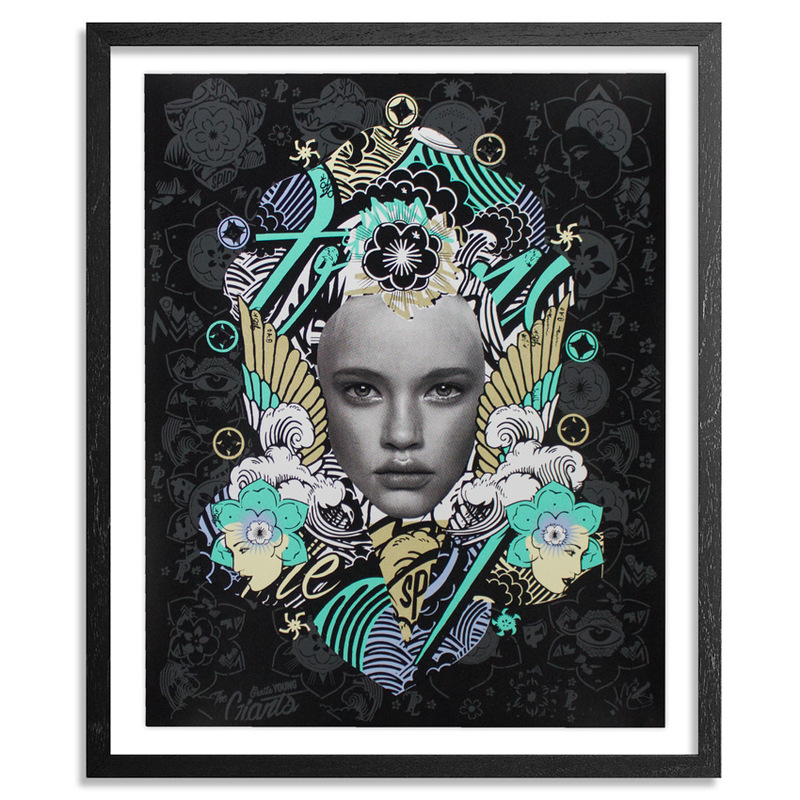 This RUN comes signed, numbered and with a Certificate of Authenticity from Prefab77 and 1xRUN. "This whole series started a little bit different, but it’s still got the same elements that we’ve always done. We always tell a story, whether it’s political, fashion, music or history. What we’ve switched to with these totems, it’s a case of figuring out a concept and a medium that is scalea-ble. The whole thing for us now is telling it in a small scale or a big scale. You either do it small, as these little totems, or tall on a building, which is what the next step for us will be. The story could be anything. It could be the history of a city, a struggle, a person or a movement. With this medium we can have the ability to do that. We want to tell compelling stories that could be a sad, poignant or serious story but could encapsulated in these figures.